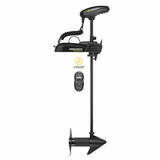 The freshwater Minn Kota Endura Max 40 lb (18 kg) thrust trolling motor with its new Digital Maximizer technology allows you to stay out on the water up to five times longer on a single charge. The Endura Max model is designed for boats up to 17' long and is based on a 12-volt system with a push-to-test battery meter. Key features include variable speed control, cool, quiet power, Weedless Wedge power prop, a rock solid mount with a solid 10-position bracket and a quick-release lever lock, a telescoping handle which extends 6" (150 mm), and a 36" (915 mm) indestructible composite shaft. This motor is backed up with Minn Kota’s two-year warranty. 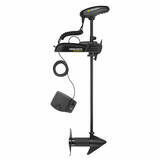 Minn Kota Endura 30 C2 is created especially for small to medium sized (max.680 kg) freshwater boats. Power: 12 V. Telescopic handle, lever lock bracket. Shaft length: 76,2 cm. Super quiet operations. We recommend to use high quality deep cycle marine battery (100 Ah). 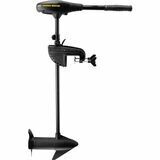 Minn Kota Endura 34 C2 is created especially for small to medium sized (max.750 kg) freshwater boats. Power: 12 V. Telescopic handle, lever lock bracket. Shaft length: 91,5 cm. Super quiet operations. We recommend to use high quality deep cycle marine battery (100 Ah). 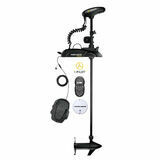 Minn Kota Endura 40 C2 is created especially for small to medium sized (max.850 kg) freshwater boats. Power: 12 V. Telescopic handle, lever lock bracket. Shaft length: 91,5 cm. Super quiet operations. We recommend to use high quality deep cycle marine battery (115 Ah). 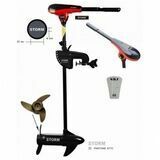 Electrical outboard motor Storm NRS 36. Power: 12 V. 29 A. Quiet operations for trolling. Efficient dual blade propeller, movement lock, well suited for salt water. Motor has a battery LED display that indicates the current battery status. 5 Forward speeds and 3 reverse speeds. Thrust 16.3 KGS, max speed: 6.5 km/h, Shaft length: 76,2 cm. 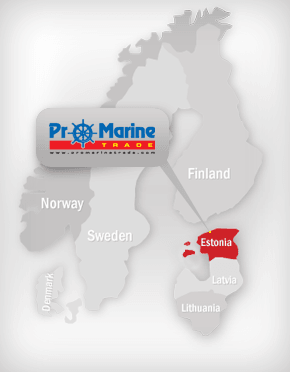 We recommend to use high quality deep cycle marine battery. 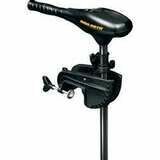 Electrical outboard motor Storm NRS 55. Power: 12 V. Quiet operations for trolling. Efficient triple blade propeller, movement lock, well suited for salt water. Motor has a battery LED display that indicates the current battery status. 5 Forward speeds and 3 reverse speeds. Thrust 25 KGS, max speed: 14.5 km/h, Shaft length: 91,5 cm. We recommend to use high quality deep cycle marine battery.